These globalists, who use the global warming/climate change industry and Agenda 21 as tools of control and wealth redistribution, have deemed “not sustainable” most human activities that form our modern civilization: private property, fossil fuels, consumerism, farming, irrigation, commercial agriculture, pesticides, herbicides, farmlands, grazing of livestock, paved roads, golf courses, ski lodges, logging, dams, reservoirs, fences, power lines, suburban living, and the traditional family unit. It is sad to reflect that government policies and scientists around the earth rely on these tampered data to fight phantom global warming, giving rise to a huge climate change industry that does nothing but redistribute wealth and fleece the population. And educators frighten and brainwash children into the same man-made global warming fantasy, using cuddly and lonely polar bears floating on ice floes as examples of a vanishing species due to global warming, when in reality the polar bear population has increased five-fold. Should the American public be happy that EPA will finalize in 2015 the rules to cut carbon emission even further on new and existing power plants, thus negatively affecting our economy through more job losses and higher energy prices? Since there is no such thing as carbon, except on the table of elements, they are going to cut CO2 emissions, the gas necessary for plant life to thrive. Can any global warming expert explain how millions of years ago the atmosphere had more than four times the CO2 that is currently in our atmosphere yet there was no industrial activity or humans to cause it? 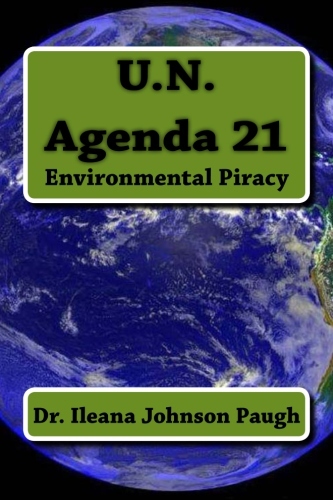 U.N.’s Agenda 21 is so insidious that people do not connect the dots between global warmists, the climate change industry, extreme environmentalists, property rights battles with NGOs around the country, main stream media, publishers of textbooks and other publications, Common Core education standards, International Baccalaureate schools, land conservation, conservation easements, regionalism, living in tiny homes and tiny spaces, re-wilding of America, removing Americans from their cars into public transportation or bikes, taking roads out of commission, sustainable development, smart meters, destroying suburbia, smart grid, and the green agenda with wind and solar power. Martha Boneta has been fighting the intrusive Piedmont Environmental Council, the NGO that holds the conservation easement on her Liberty Farm, for eight years. She was instrumental in bringing to the public the plight of small farmers who are being pushed out of business by environmental groups who want to preserve the land unspoiled and put an end to farming. 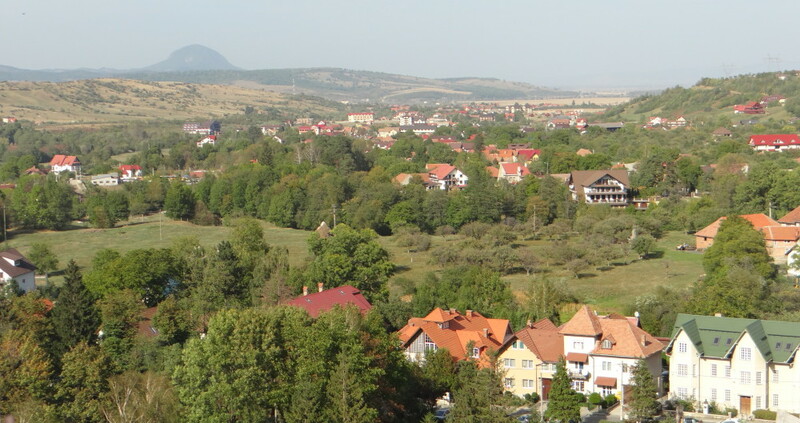 But land conservation is one arm of U.N. Agenda 21. All across the U.S. land is locked in conservation projects and easements contracts are convenient financial hooks to take land out of agricultural use in perpetuity under the guise of protecting it. The “visioning” grants and “challenge” grants are not really just meant to protect a clean environment for future generations to enjoy, they are part of a region-wide and country-wide plan to force local and state governments into Sustainable Development when we should be concerned about our Sustainable Freedom. If the government was so worried about future generations, they would not spend us into oblivion and destroy our language, borders, and culture with unchecked invasion of illegal immigrants who have no desire to assimilate into the western way of life. All these progressive platforms pushed by academia and the regime, i.e. social justice, environmental justice, green growth, equality are not cures for war, famine, pestilence, genocide, and poverty, they are recipes for global communism and control by moneyed elites, politicians, and U.N. bureaucrats who fancy themselves the arbiters of humanity’s rights and of the climate. They are intent on restricting and denying us freedoms. What is morally repugnant to real scientists and logical thinkers are the lies and deceptions surrounding the manufactured global warming crisis with all its strings attached, created for political and financial gain at the expense of billions of people around the globe who must suffer the consequences of treaties, laws, rules, and regulations controlling their lives and economic activity so that a small number of global elites can enrich their bank accounts. This entry was posted in Climate change and tagged Agenda 21, conservation easements, faked temperatures, GISS, global warming, Martha Boneta, NOAA, Paul Homewood, property rights, temperature data, U.N. Agenda 21: Environmental Piracy, Virginia by Admin. Bookmark the permalink. my friends, so hopefully they should like it as well.